Sermon preached on 2 Samuel 11 and 1 Kings 1:11-31 by Rev. 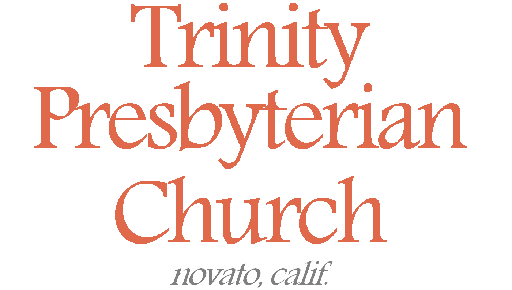 W. Reid Hankins during the Morning Worship Service at Trinity Presbyterian Church (OPC) on 10/13/2013 in Novato, CA. As we continue our sermon miniseries on key women of the Bible we come to the time of the kings. The last two weeks we’ve been in the time of the judges, and the key problem identified during that time is that there was no king, and so everyone did what was right in their own eyes. Finally, God’s people, had demanded a king, but God at first let them have a king of their own choosing, Saul. Saul showed that he was not the kind of king God would pick. After that, God then raised up David as king. God said that his choice of David was because David was a man after God’s own heart. This ushered in the era among the Israelite people of the kings, when the Israelite people as a nation was an independent monarchy. And at this time, God gave a promise to King David in 2 Samuel 7, that God would establish his kingdom, and that God would establish the throne of one of David’s physical descendants after him with an everlasting kingdom. This is a promise of the Messiah, that he would come through David’s line, and be a continuing, and advancement of David’s kingdom. As we’ve been going through the women of the Bible, we’ve been tracing this development — the promised seed of the women, the promised savior to come. We’ve traced his lineage. And now, God’s oath to David is that this promised one will come through him, and he will be an everlasting king over all. Well, as we know, David can’t bring descendants on his own. And so the woman we will study today is the one whom David bore this messianic line with. David in fact had a number of wives. But we’ll study today the one that brings forth the Messiah. I am of course talking about the woman who was the wife of Uriah. The wife of Uriah. In Matthew’s genealogy of the Messiah, five women are mentioned in that genealogy. Usually women would not have been mentioned at all, so it’s noteworthy each time one is mentioned there. But one of these women is not mentioned by name. That’s when you are at David’s place in the genealogy. Matthew 1:6, “David the king begot Solomon by her who had been the wife of Uriah.” Well, we know her name. Her name is Bathsheba. That’s who we are particularly studying today. But when she is referenced in that Messianic genealogy, what’s emphasized is the scandalous sin that tarnished David’s career as king. We are reminded how it was that David came to be with Bathsheba. Our passage from 1 Kings for today is long past those events. But we can’t consider the life of Bathsheba without also reflecting on the past sins of David and Bathsheba. How is it that the wife of Uriah came to be David’s wife and the bearer with David of the Messianic line? Well, turn with me in your Bibles to 2 Samuel 11. Begin at verse 1. We see the setting. It was the time when kings go off to war, but David sent everyone else off to war, and he stayed behind in his palace. Let me be clear, that a lot of Bathsheba’s role in the Scripture is to highlight David’s sinfulness. And as we survey this chapter briefly, we’ll find David essentially breaking all of the second table of the Ten Commandments. All the ones about how you are to love your neighbor. Here, right at the start, this is a form of breaking the 5th commandment. The Westminster Larger Catechism rightly points out how the 5th commandment not only calls people under authority to honor that authority, but it also implies responsibilities for the authority himself. David as the king, should have been leading the troops on the battlefield here, not getting into trouble at the home front while all the other men put their lives at risk. That’s his first problem here. Well, in the next few verses we see that David notices from his roof Bathsheba bathing on the roof of her home. By the way, it’s often asked if this would have been appropriate for her to bathe in such a way. Was she purposefully trying to attract this attention by bathing on her roof? Well, it’s a fair question, but one which seems to be an open question when you look at the arguments on both sides. Since it’s an open question, and the text does not choose to comment further about it, we should be hesitant to accuse Bathsheba in that regard. But what is abundantly clear, is that David sins again. He covets another man’s wife. He’s clearly told that this is Bathsheba, the wife of Uriah. By the way, Uriah is listed in 2 Samuel 23 as one of David’s select mighty men. He was surely someone David knew well, a very loyal subject, and a national hero. David breaks then the 10th commandment here, coveting Bathsheba, Uriah’s wife. And so, then in verse 4, David sends for Bathsheba, and she comes, and they commit adultery. This now is the seventh commandment being broken. By the way, though the text isn’t trying to highlight Bathsheba’s sinfulness, but David’s, nonetheless, realize that she seems to be a willing party in this adultery; or at least she offers no signs of resistance. Verse 4 says that David didn’t just send and take her to his palace, but also that she came to him. There’s no mention of any resistance on her part. Given that this passage is describing the evils of David, if Bathsheba had resisted, surely it would have been explicitly told to us. It was, for example, in the later sin when Amnon forces himself on Tamar. Deuteronomy 22 discusses these kinds of situations, and says basically the woman is innocent of adultery if she cries out for help when a man takes her. But here Bathsheba’s silence in the matter is deafening. Everything tells us that she was an adulteress, guilty along with David, of the death penalty. Well, it seems they had intended for this sin to remain a secret, but that didn’t happen. Instead, Bathsheba became pregnant from this sin. The text tells us in verse 4 that she had just finished her monthly purification so that we all know for sure that this she was pregnant with David’s child. And so David attempts to cover up their sin. Note, that he was not effective in doing this. He calls back Uriah from the battlefield and tries to get him twice to spend the night with his wife — that it would seem then that the child belonged to Uriah. Uriah’s unwillingness to do that when the army of Israel was camping in the battlefield only further shames David. So, then David’s last cover up attempt is even worse. Sending a letter to the army commander Joab, by Uriah’s own hand, David has Joab put Uriah in a place where he will surely get killed in battle. All of this is essentially a form of breaking the 9th commandment about not bearing false witness. Because he was trying to propagate a lie — first trying to make it look like the baby was really Uriah’s. Then by making it look like Uriah’s death in battle was just a normal part of the war — look at David’s response in verse 25 to Uriah’s death — the sword devours one as well as another. Really David? No, this wasn’t true — David orchestrated Uriah’s death. And so that was murder as well, a breaking of the 6th commandment. Bathsheba at least then mourns for her deceased husband, verses 26-27. David then after that mourning, takes her for his wife. The next chapter shows the prophet Nathan confronting David about this sin, and Nathan’s description portrays this as David stealing from Uriah his wife. So then, add stealing to the list of sins, a breakage of the 8th commandment. Of course, it’s that next chapter here, chapter 12, where we see that David’s cover up had failed. God knew his sin. God called him on his sin through the prophet Nathan, first giving a parable of about someone stealing someone else’s sheep, which David thought was a real legal case being brought to him. Before David realized that Nathan was condemning him, David expressed that stealing should be repaid four-fold. That was the Old Testament law from Exodus 22:1 for when a man steals a sheep. Well, it’s suggestive that David did pay back four fold, because at this point we’ll see the future holds that four of his own sons will die. And so David’s sin really stand out in this passage. We noted how there was a way in which he broke all the laws in the second half of the Ten Commandments, the laws about how to treat your neighbor. And yet, in Psalm 51, a song David wrote confessing his sin to God concerning Bathsheba, listen to how David describes his sin to God: “Against you, you only, have I sinned.” David realized that even though he sinned so much against his neighbor, he ultimately sinned against God. David, this man after God’s own heart, had completely broken the whole of the Ten Commandments, sinning against both man and God in such overt ways. Well, what about Bathsheba’s character in all of this? Interestingly, some Jews historically thought her son Solomon wrote about her in the last chapter of Proverbs. That describes the commendable wife of virtuous character. If she did go on to live like that, the Scriptures don’t tell us about it. If anything, Solomon’s teachings in Proverbs 7 are arguably more applicable to his mother, to beware the adulteress woman who seduces a man when her husband is out of town. And yet the Bible here is very restrained about commenting on her sin. It doesn’t explicitly deal with her sinfulness here at all. That’s because the focus is back on David and his sinfulness. If we can say anything about why the Bible tells us about Bathsheba, it’s to highlight David’s sinfulness. That’s about all the Bible really tells us about her up to this point. And so despite his attempts, David could not cover up his and Bathsheba’s sins. But when confronted by the prophet Nathan, David did do the right thing. He truly did repent of his sins. Psalm 51 is also an expression of that repentance. Everything about this in the Bible would suggest a real true repentance by this man of God who had just acted so completely godless. And so the prophet told him he would not die — normally adulterers were stoned to death. This surely applied to Bathsheba as well, as she was not put to death either for adultery. This was God’s grace. And yet there was a price. For David, Nathan tells him the sword would never depart from his house, and trouble would rise up for him out of his own house. Most immediately, the firstborn child of David and Bathsheba would die for their sins. And as mentioned, David would ultimately lose four of his sons, due to this trouble that would rise up out of his own house, the three other sons being Amnon, Absalom, and Adonijah. And yet God did bless David and Bathsheba, nonetheless. At the end of 2 Samuel 12, we see that they then had another son — Solomon. And God sends Nathan the prophet to tell them, that God loves Solomon. Well, then, we come now to 1 Kings 1. Many years later, when David had grown old and was about to die, we see Bathsheba come into the picture again. With David about to die, the question arises of who would be the next king. In terms of age, it seems Adonijah was the eldest and normally would have been the successor. Given David’s infirmity, it seems that Adonijah didn’t wait for his Dad to die, but essentially declared himself King, gaining the support from two influential people, Joab the army commander and Abiathar the priest. But here we learn something interesting. King David had promised by oath to Bathsheba that their son Solomon would be his successor, not Adonijah. Likely this reflects David’s response to how God had told him through the prophet Nathan that God particularly loved Solomon. David must have understood that as God’s way of saying that through Solomon his promise would be fulfilled to establish his kingdom forever. God had sworn an oath to David that one of his seed would have his kingdom established. David in turn swears to Bathsheba that one of her seed would have his kingdom established. Surely then, this is why Nathan the prophet gets involved here. The prophet Nathan sees that Adonijah had exalted himself as the new king. He knows that this will put Solomon and Bathsheba’s life at risk; surely Adonijah must have known of David’s desires to crown Solomon, and so Nathan surely was right — that Adonijah would have ultimately looked to knock off the competition. And so, here is where Bathsheba does really shine in the Bible. Nathan doesn’t work with Solomon to secure the throne at this point. No, he goes to Bathsheba. He has her go to appeal to David of the promise he had previously made to her. A beloved wife can have a strong power and influence on their husband to get them to act in line with their previous commitments. That’s what Nathan asks Bathsheba to do. And she does. And Nathan too then comes in to David to present the same concern. Bathsheba and Nathan both bring the same concern to David — did you want Adonijah to succeed you? Or were you still intending for Solomon to succeed you as king? Well, Bathsheba and Nathan were successful. Look at verse 28. David calls for Bathsheba. David confirms his oath to her. This is an oath not to Solomon but to Bathsheba. What a wonderful way we see her involved her! David swears to her saying, “As the LORD lives, who has redeemed my soul out of every adversity, as I swore to you by the LORD, the God of Israel, saying, ‘Solomon your son shall reign after me, and he shall sit on my throne in my place,’ even so will I do this day.” David then proceeds to act to officially install Solomon as king, effectively thwarting Adonijah’s efforts to crown himself. And so, taking away the mere pragmatic concerns for Bathsheba to save her and her son’s life, this is a wonderful thing we see Bathsheba doing, in terms of redemptive history. Again, we’ve been working through this one overarching story throughout the Bible in this sermon miniseries. We’ve been seeing how God is involving these different women in bringing about God’s plan of redemption. To see how God would raise up a savior who would be born of a woman. We learn here that not only would this savior be born of a woman, but also of King David. But not just of King David, but even through Bathsheba. Bathsheba presumably believes this promise now too, and she acts in line with the promise. To see her son Solomon, beloved of the Lord, crowned as king to continue the kingdom of David. Until one day that kingdom would be turned over to her greater Son, the Lord Jesus Christ. That is of course, the greater significance in all of this. Bathsheba’s import in the Bible come out first because of what she symbolizes with regard to David — his sinfulness. But then her sons come into the picture. They rise to the focus, and Bathsheba’s sons show off then her import in the Bible. That first son of theirs died shortly after birth, in some sense bearing their sins. But David held out the hope to see that son again — 1 Samuel 12:23, and surely he would. But not because that deceased child could really bear their sins. But because the greater son of David and Bathsheba would bear their sins. The only begotten son of God and offspring of David and Bathsheba, Jesus the Christ, would pay for their sins on the cross. You know, there is something very interesting in the Bible when we think about the genealogy of Jesus Christ. That genealogy is listed in two places in the Bible. One in Matthew 1, and a second account in Luke 3. What is interesting, is that the genealogies are different. Now there have been several explanations proposed for harmonizing this; we should not consider them to be an error in the Bible. An explanation from the early New Testament church essentially said it was related to a levirate law situation; where one genealogy was the actual biological record, and the other would have been the legal record — recall that in the levirate system, you would raise up seed on behalf of a deceased relative. Given how we’ve seen this already at work multiple times in Jesus’ genealogy, that sort of thing doesn’t surprise us, and is probably the correct explanation. However, what is interesting for today’s sermon, is that Matthew and Mark’s genealogy diverges at the line of David. In Matthew’s account, David bears Solomon, through Bathsheba. But in Luke’s account, it records the line going through David’s son named Nathan. Well guess who was the mother of Nathan? Yes, you’re right. It was also Bathsheba, per 1 Chronicles 3:5. We really know so little about Bathsheba in the Scriptures, in terms of her own character, godliness, and personality. The passages we do know have to do with her connection with David, and her connection with her sons. So then, what is her real import in the Bible? Why did the Bible choose to tell us about her? People like to speculate a lot on the things we don’t know about her, about her hidden motivations. People tend to want to paint her either at this glorious virtuous women and maybe even a victim, or as some ambitious, strong-willed, and opportunistic women, looking to grab power and position. But the Bible doesn’t give us enough to make a judgment either way. What then is her import in the Bible’s bigger picture and story? Well, it’s like what we saw in the Matthew 1 genealogy. Her own name isn’t mentioned in the genealogy, only that David had Solomon through the wife of she who had been Uriah’s wife. You see, more than anything, she’s in the Bible to remind us how very, very, badly, David messed up. Humans tend to hide their things of shame. Maybe you had some black sheep of the family. Maybe your Grandma cut out that person from all the family photos. Such a person might be an embarrassment on the family. You don’t want to talk about them. You want to move past them. Bathsheba could have easily been such to David and the Messianic line. But God didn’t cut her out of the picture. No, he actually highlights her. Twice. In both genealogies through two different of her sons. It seems to me, that’s her biggest contribution to the story of redemption in the Bible. She represents the absolute horrendous sinfulness of the king after God’s own heart. That someone as honorable as King David, could act so dishonorably, and God would not stop his plan to raise up David’s line to bring forth the Messiah and establish his kingdom. That God would highlight how he saved David, and brought out the covenant promise through David, very directly through the one symbol of his great adulterous sin, is what God’s grace is all about. David’s most major blight on his godly record is recalled whenever we think of Bathsheba, and God chose to highlight his grace by saving through the line of Bathsheba. That’s God’s grace. And in that we should be encouraged. If there was hope for David, then there is hope for us. Each of us have surely broken all of God’s Ten Commandments, in one way or another. Every single one. If not everyone in our outward actions, then at least in our heart or mind. For those born outside the church, we did this before we became a follower of Christ. And for all of us, we have done this after we have become a follower of Christ, just like David. We are sinners who need salvation, and who need forgiveness for those many sins throughout our Christian life. Bathsheba said at the end of David’s life, “May my lord King David live forever.” Well, David did not die for his many sins committed in the Bathsheba affair. And in fact, King David would live forever. Because he was forgiven by God and his sins atoned for. This because of his greater son and his Lord, Jesus the Christ. David told Bathsheba at the end there that God had redeemed his soul out of every adversity. Well, this redemption was available for David, and the same is also available for us. We are sinners and we will sin. May we then respond the way David did, to such sin. May we truly repent. May we acknowledge it, mourn over it, and look to turn from it. But then put your eyes of faith upon the greater son of Bathsheba, Jesus Christ. Know that this son of Bathsheba died for your sins. Know that he covers up your sin, in a way that David could not cover up his own sins. Your sins are removed from you. You will not die, but live eternally. Because you have a king who redeems you from every adversity, even the ones you bring upon yourself. There was redemption for David after the Bathsheba incident. There is hope of redemption for us after even our most egregious sins. And should you find such horrific sins to come into your life, after repenting of them, know that you are forgiven in Christ. But, I would suggest you don’t try to forget such sin completely. Yes, God forgets our sins in terms of their guilt which would otherwise be against us. But, the incident with Bathsheba was not forgotten to history, but embraced as an emblem of God’s restoring grace. May we too, see such in our life as a testimony of the all-sufficiency of God’s grace to forgive and restore us. All to the praise and glory of our amazing God. Amen.